We are the sole owners of the information collected on this site. We only have access to collect information that you voluntarily give us via email, chat, contact forms or other direct contact from you. We will not sell, share or rent this information to anyone. We will use your information to respond to you, regarding the reason you contacted us. We will not share your information with any third party outside of our organization, other than as necessary to fulfill your request, e.g. to email to you a completed assignment/homework or project. Wherever we collect sensitive information, that information is encrypted and transmitted to us in a secure way. You can verify this by looking for a lock icon in the address bar and looking for "https" at the beginning of the address of the Web page. While we use encryption to protect sensitive information transmitted online, we also protect your information offline. Only employees who need the information to perform a specific job (for example, subject matter experts, billing or customer service) are granted access to personally identifiable information. The computers/servers in which we store personally identifiable information are kept in a secure environment. We request information from you on our order forms or chat. To buy our services from us, you must provide contact information (like name, email id, contact number and billing address) and financial information (like credit card number, expiration date). This information is used for billing purposes and to fill your orders. If we have trouble processing an order, we'll use this information to contact you. We use PayPal to bill users for our services. They do not retain, share, store or use personally identifiable information for any secondary purposes beyond filling your order. 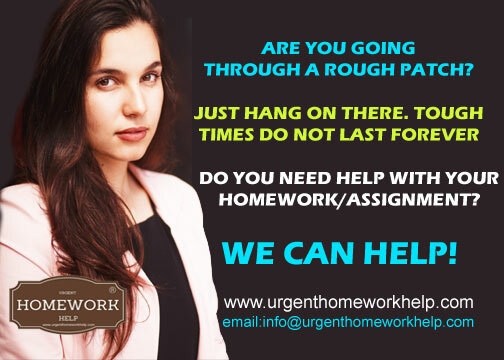 HOW TO ORDER FOR ASSIGNMENT HELP? You can chat with our customer success managers on our website, any time of the night or day and tell us exactly what you need and when. Share any relevant documentation. Tell us if you would like us to follow any particular referencing style. Confirm the word count. Give us all this information and then sit back and relax. You will be surprised how quickly we get back to you. We will keep you updated with progress and once done, we put it through our internal quality checks. After that, we will deliver it to you on the confirmed delivery date.